Well, I took a little gamble and purchased one of these on Ebay. The part that intrigued me was that it will play NES and GBA ROMS that you can install on the device. It does indeed play NES and GBA ROM files just fine. They are easy to load on the unit using a USB cable. I've been using the NES emulation mostly, and it seems pretty spot on. Sounds are good. It mentions SMS compatibility too, but I haven't tried that. GBA games also work great. The screen is very nice and bright. It looks great. You can also use it as a media device. Music and video files play fine. It has a camera. Have not tried it. 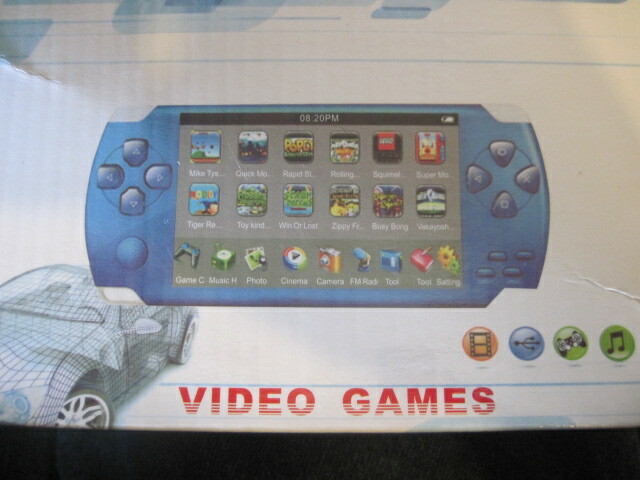 The case design is a blatant rip-off of the PSP (see my pic below). It's very lightweight and feels a little cheap. Very similar to the 2600 flashback portable. Mine may (or may not) be defective -- It's been charging for about an hour but won't turn on without it being plugged in. I'll let it charge overnight and see if that's what it needs. Documentation? Not a single word. You're on your own figuring this thing out. Assuming the battery works, I think this thing is really cool. My plan is to load up a ton of NES and GBA roms and take it with me on the go. There are some GREAT games for those systems. 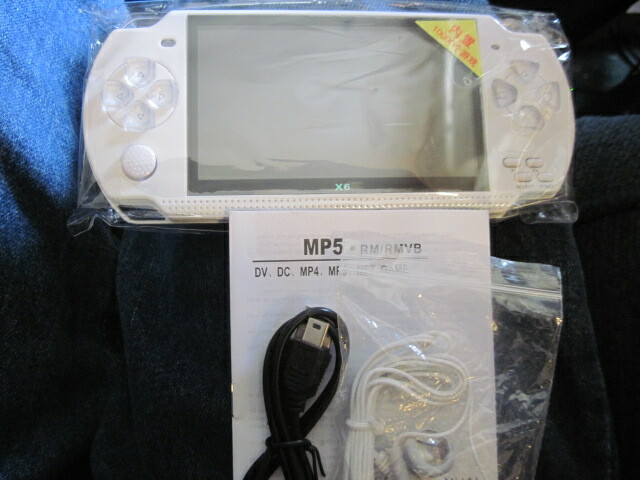 Picture below is the MP5 unit on top (in blue) and a real PSP on the bottom. I came so close to ordering one of these last night! Went with the Sega Ultimate Portable instead. What's with the 10,000 games built in?? Total hogwash. There are a bunch of GBA games "built-in", but nowhere near 10,000. I saw one of those a while back. Should've bought it. Seems like a good deal for the price point, as long as it holds together. I'm curious about the charging issue. It might just be a bad battery, I guess. I was working at a reverse logistics firm testing and repairing electronics, mainly laptops and gaming systems. These and others like it came in ALL the time. Neat little deals. The battery is fine. It turns out, to turn on the system (without a charger attached), you turn on the power switch AND hold down one of the tiny buttons on the face. Did I mention no documentation at all? I'm going to do more testing in the evenings. I want to try some Genesis ROMS to see if those work too. Any luck with Genesis roms Rick? My Sega portable arrived today, but it seems the roms need to be .bin files and all mine are .smd files so I'm not having any luck. I haven't tried yet. Sorry. I'll get to it soon though. I think I'm going to order one of those just for the NES. Thanks for sharing the info. The NES emulation is flawless to my untrained eye. I'm too busy with work, but will try the Genesis as soon as I have a spare 30 minutes. A special update just for Greenween. I tried the Genesis emulation. SMD = Sega Mega Drive (duh). So it should work. I put 2 SMD files on the unit. Altered Beast worked great. Double Dragon did not work. So with that limited sample, I'd say it's going to be hit and miss. Still, Altered Beast worked perfectly for my standards. It's possible my SMD file for Double Dragon is just bad. I'll try more as time permits. I say for $26, the NES, GBA, and Genesis capabilities of this item are a great bargain -- even if there are some games that end up not working. Also of note is that the screen is really bright and nice. I loaded about a dozen SMD files for Genesis and they ALL work fine except for Double Dragon. I also loaded a few SNES ROMS, and guess what? They work too! SNES is a little bit choppy. But still....very cool. Yo Rick! I ordered one of these a few days ago, looks very cool for NES and hopefully some Master System games. I finally figured this Sega Portable out today. I put about 100 roms on it today and they play great!! 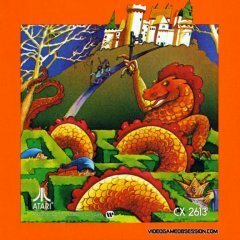 Sound is a bit weak but not terrible, the graphics are near perfect, highly recommended. I saw the Sega portable at Target and almost bought it. For the price, this doesn't seem to be a bad deal. It's also not the first rip off of the PSP design. 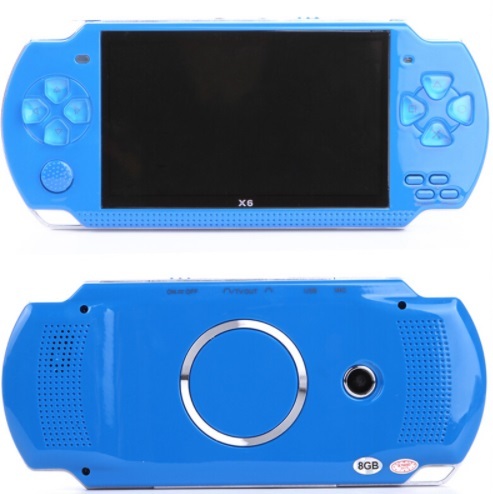 I've seen similar units sold in Amazon that are pretty much identical in looks to the PSP. Mine arrived today. These things keep selling out quickly. They only post 15 at a time. It said it would arrive in an epacket but came in a legit box, everything sealed, manual, ear buds and usb hook up. Love it so far. It comes with about 100 games, mostly GBA. I loaded all my NES roms and they seem to work great, which is really the only reason I bought it. I had the same issue with realizing you had to hold down start to get it to boot up. So far it's a great purchase for $25+ free shipping! Hey Rick!! 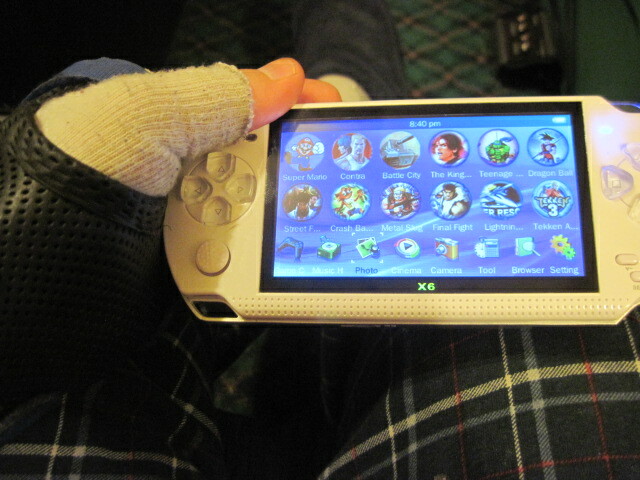 The Sega Portable is great! Thanks for the Post, I'd like to add some info here if I could. I've tried a few different ones and I like the look and feel my MP5 (but it isn't the same as yours). I also purchased an X6 that looks like yours and I had the same problems and it also feels cheaper. The buttons are also less intuitive to me. I included a few pictures which might help people when buying one. They look similar but you can make out some differences. Even on first glance I think my MP5 looks nicer (more rounded) which is the Red Handheld. I'd recommend staying away from the X6, which is the blue one pictured. Notes: I don't notice a considerable difference between anything over a bitrate of 96kbs, which is probably due to the speakers. So all video I encoded for it, I optimized to 480x272 and 92kbs audio and all audio I optimized to 92kbs. But this was for a $25 budget gift and I didn't want to spring for a expandable Micro SD card. Notes: Keep in mind, pictures are stretched/smashed to the native resolution of 480x272, so if you copy pictures to it they may look distorted and extra resolution can just waste space. Notes: The device will not read from ZIP or archive files, so you have to extract them the way you usually get them, which is a shame because compressing roms yields about 50% space savings. Also, I tested different Generation Atari roms, none worked. I also tried other game roms, none of which worked but many ROMS came in ZIP files and contained multiple files inside the archive, which I'm not sure could work. 720p support (while 720p videos "work", they are scaled down to the native resolution). For the life of me I couldn't figure out how to fast forward video. Clicking the right button would go to the next video and left to the previous one. The trick is you have to hold down the left or right buttons to fast forward, and you can change the Seek speed using the menu (pressing the square "[ ]" button, the leftmost button on the right). A little hidden gem I found was the ability to change the main menu background image and file menu background. The light rain drop background made it hard to make out the font. 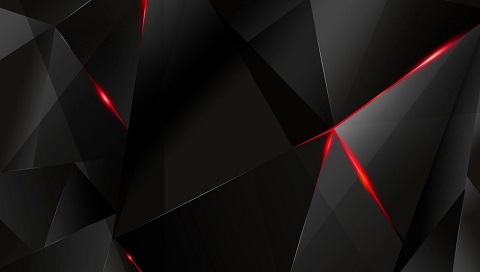 So I used the Red/Black image (see attachment), which makes the think so much cooler. You apply the backgrounds through the picture viewer with the menu by pressing the square "[ ]" button, the leftmost button on the right (same as above). The buttons take a little getting used to, many buttons don't actually do anything (like the L1 and R1 buttons), and some are just duplicates (like the toggle joysticks). What I would have liked to see is a way to customize the buttons and or emulator settings. If anyone knows a way to do this or how to flash the firmware of the device, please let me know. I'd be very interested in hacking this thing a little and maybe make a tutorial. I purchased both an X6 Portable 8GB Handheld and an MP5 8GB Handheld, in my case both used the same firmware and had the same game, video, and audio support. 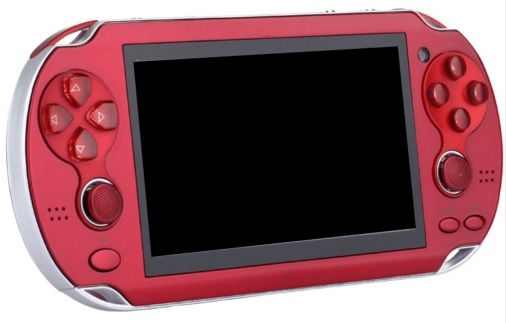 However, the X6 Portable Handheld is less intuitive on the buttons (many do the same things and some make no sense) and my unit will only turn on with the cable connected (which turns it on despite the switch being "on" or "off"). Once on, you can disconnect the unit from the cable and as long as the switch is "on" it'll work. So I'm not sure what the issue is, but it's not the battery itself, probably just poor engineering. This is a complaint that you will find many places online, but the packaging and product description usually states there's 1000 games, which is crap. Many of the games aren't proper english titles (my my region, mileage may very) and there's really only like 80-100 games and then they repeat. I'd be fine with that, but there's no way to update the built in game library. However, you can add more by adding them to the internal storage when connecting it to PC (I can't remember the steps off hand but will update later). I packed the system with ~350 NES Roms, ~150 SNES Roms, ~50 GBA Roms, ~50 GBC Roms, and ~20 SM/B (Sega Genesis) Roms) with room to spare (which I filled with other content). Overall, per the price, I have few complaints. Hope this helps and I look forward to updating the post.